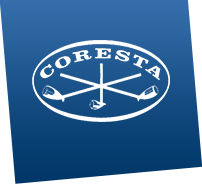 The CORESTA Blue Mould Early Warning Service was replaced by the Euro-Mediterranean Blue Mould Information Service in 2005. The service has since been co-ordinated by Dr Norbert Billenkamp from NiCoTa GmbH, under the auspices of the European Association for Tobacco Research and Experimentation (AERET), which is a group of tobacco field extension specialists from Europe. The purpose of the Euro-Mediterranean Blue Mould Information Service is to collect and compile information on the spread of blue mould in the Euro-Mediterranean zone during the growing season, and to disseminate it to collaborators throughout the region.